About a thousand people showed up for the mass. 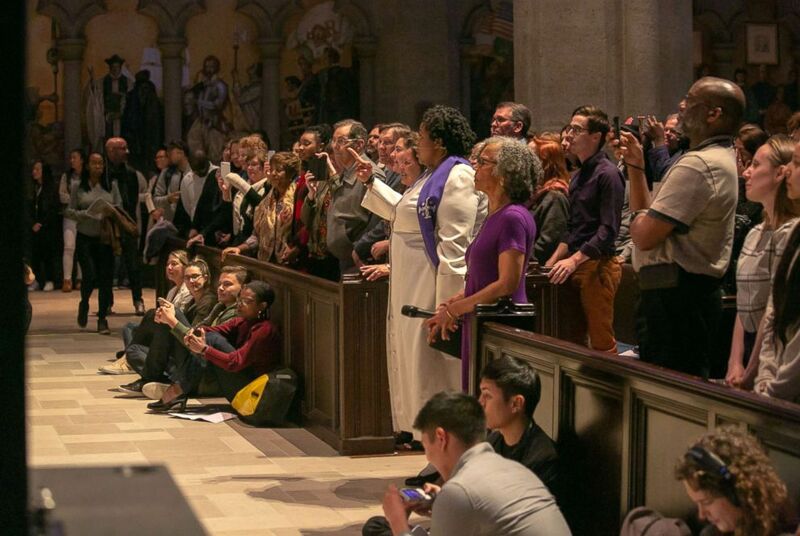 About a thousand people attended mass at Grace Cathedral in San Francisco Wednesday night, but it wasn't a typical service. The Beyonce-themed mass featured music from the pop star mixed in with prayers, readings and preaching led by Reverend Yolanda Norton. (Edgar Garcia/Grace Cathedral) About a thousand people attended mass at Grace Cathedral in San Francisco, April 25, 2018, but it wasn't a typical service. The Beyonce-themed mass featured music from the pop star mixed in with prayers, readings and preaching led by Reverend Yolanda Norton. Norton, who is an assistant professor of Old Testament at San Francisco Theological Seminary, teaches a "Beyonce and the Hebrew Bible" class that draws on Beyonce's music to raise awareness about the spiritual experience of black women and the issues they face. (Edgar Garcia/Grace Cathedral) Grace Cathedral in San Francisco, held a Beyonce-themed mass, April 25, 2018. The mass, which created a lot of buzz online, surprised organizers by how many people showed up. Long lines had formed before the church opened its doors. "At one point I had to walk outside and I saw this line wrapped around the building and it totally took my breath away," Norton told ABC News. 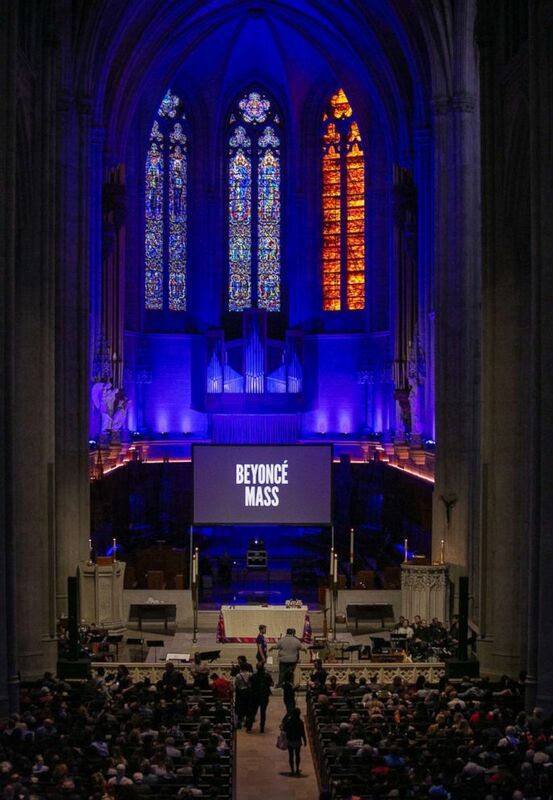 Some critics argued that the mass was to worship Beyonce, but both Norton and the Grace Cathedral said it was just a way to gather more people and have different kinds of conversations.